Next Post Tennison Bridge Opening! Reblogged this on 2014/15 Citrine Class. Reblogged this on 2014/15 Coral Class. Reblogged this on 2014/15 Ruby Class. 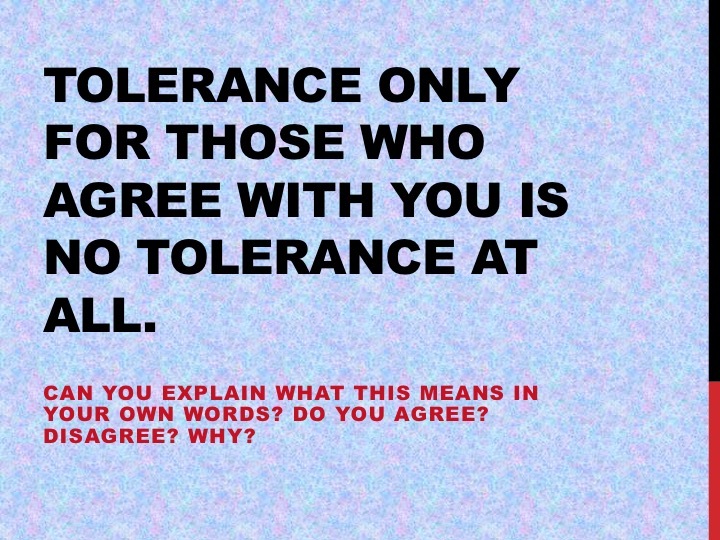 Tolerance means when you have pationce for something. I agree because it’s rude and you wouldn’t like it. it means getting along with those who agree with is not getting along at all. I agree because the all ready agree with you so of course you’ll get along, but if they didn’t agree with they wouldn’t tolerate you as much.